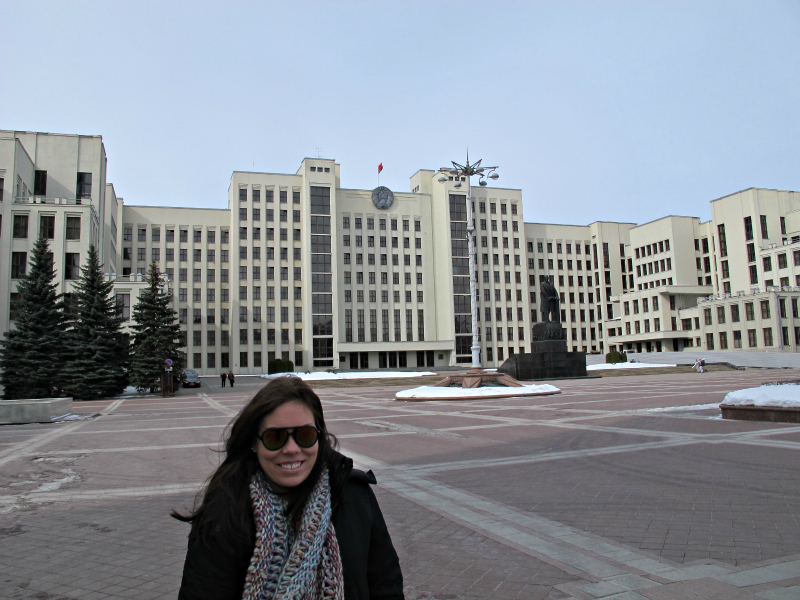 Many people that read my blog remember my first trip to Belarus in March 2013, which was a trip that was initially booked for 2012, and due to some visa issues going through Moscow, ended up being pushed out to 2013. I talked about that trip a bit, but nothing in great detail. Well, I ended up back in Belarus this past May. Never imagining I would be allowed back in the country for various reasons, I was pretty stoked when the country became visa free for the month of May due to the World Hockey Championships being held in Minsk. I was sitting in Helsinki in a hotel room when I got the message from my friend Kami over at Kami & the Rest of the World informing me of the visa-free travel during the month. 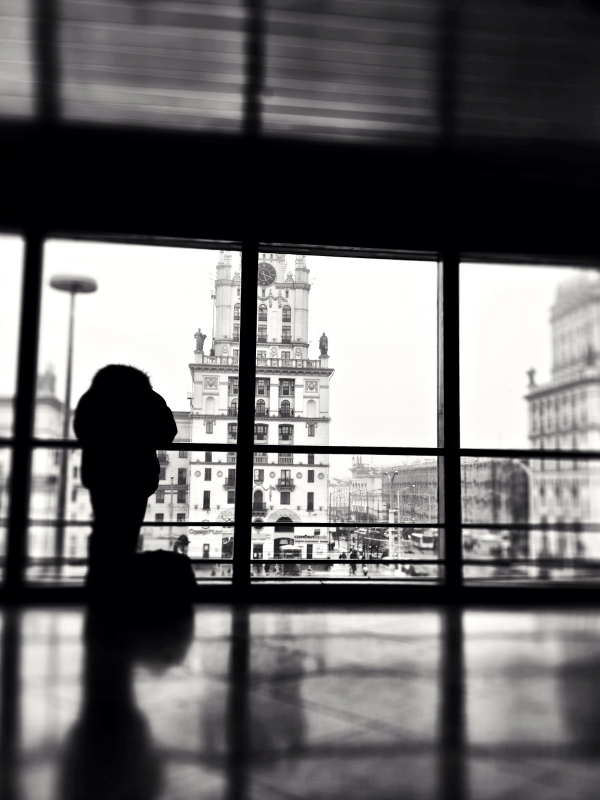 Immediately after receiving the message from her, I booked a plane ticket to Vilnius and was going to attempt entering a country that I never thought I’d be able to get back into. Ever. Needless to say, I ended up getting through train customs from Vilnius without any issues this time. 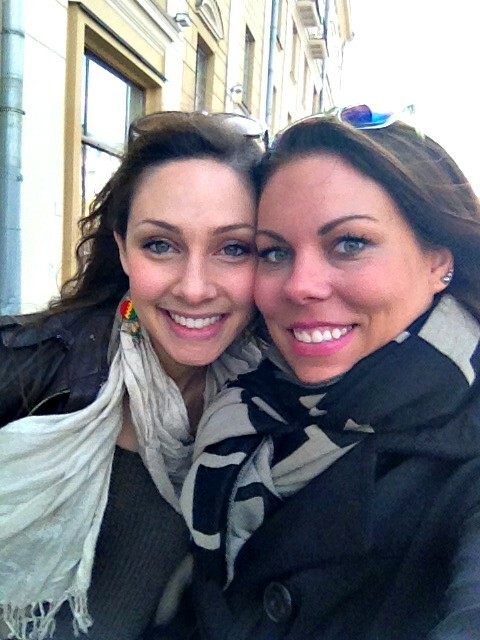 I even had my friend, Juliet, join me for the trip, which made it even more special. This trip was only for four days or so, and truthfully, it may have been the trip of the year. My previous trip had a lot of hype to live up to, and this trip managed to do just that. The hospitality of the people was not a fluke. The sun was constantly shining and the city was alive and proud to be hosting the World Hockey Championships. It made it a real joy to be there. 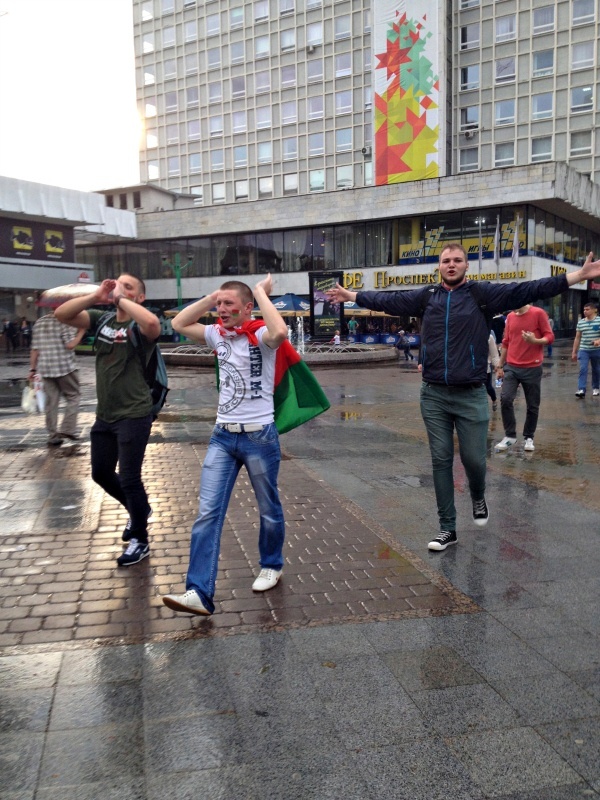 Belarus is, sadly, a very forgotten about country on the European continent. Unfortunately, most people affiliate the country with its political actions and ideals and forget that the people that live there are just like anyone else around the world. My first trip to the country was a bit about the politics and to see what the country looked like on the inside since not many westerners have visited. My second trip there was to go back and meet the people I had met during the first trip. It had nothing to do with politics or seeing a country that remains erased from the minds of most citizens around the world. When I think of Belarus, after having taken two trips to the country, I don’t think about politics. I think about other things. This post is about those things. I have previously written a post about how the country defied my expectations. The biggest way it defied my expectations was in regards to the people who live there. I expected a colder society that was hard to break on the outside and soft and warm on the inside. But the people are soft and warm on both the outside and inside. I would never have guessed that, given the fact that every single country surrounding Belarus is the opposite (in my opinion). The hospitality and smiles knocked me off of my feet. Like I mentioned above, this was no fluke. It was more than evident the second time around. 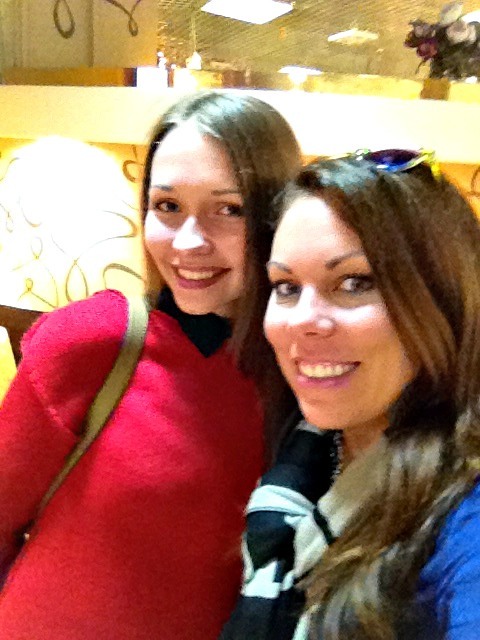 Daria, a beautiful Belarussian girl and language student at the university in Minsk who had previously found my blog while working on a school project, offered to take Juliet and I out to lunch with her mom and show us around the area when I was there. It was nice to see the city again while getting to know a new friend. Juliet, Kami and some of her friends, and I ended up at my favorite bar in Minsk and were just part of the local crowd. 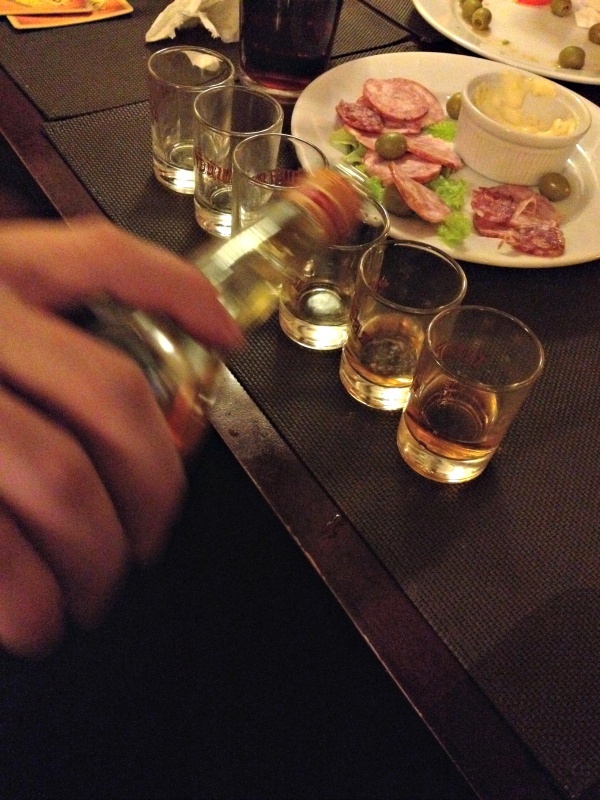 Drinking, singing, doing shots with locals… it was all the reasons I fell in love with the country in the first place. Okay, so I do realize that this often has to do with the government regime, but who cares? The city is clean. Maybe not in terms of air pollution as the capital city has an industrial side to it, but the ground is spotless. No graffiti, no litter, and no cigarette butts. And if there is a piece of trash that has blown onto the ground from a nearby trash can, locals won’t hesitate to pick it up and put it back in the bin. Belarus is a beautiful country with a special ecosystem and I love seeing that the locals take care of it, even when no one is watching. Sure, it’s weird that a shopping center is even on this list, but I think it definitely deserves a spot. The locals are proud of Stolitsa (Столица). 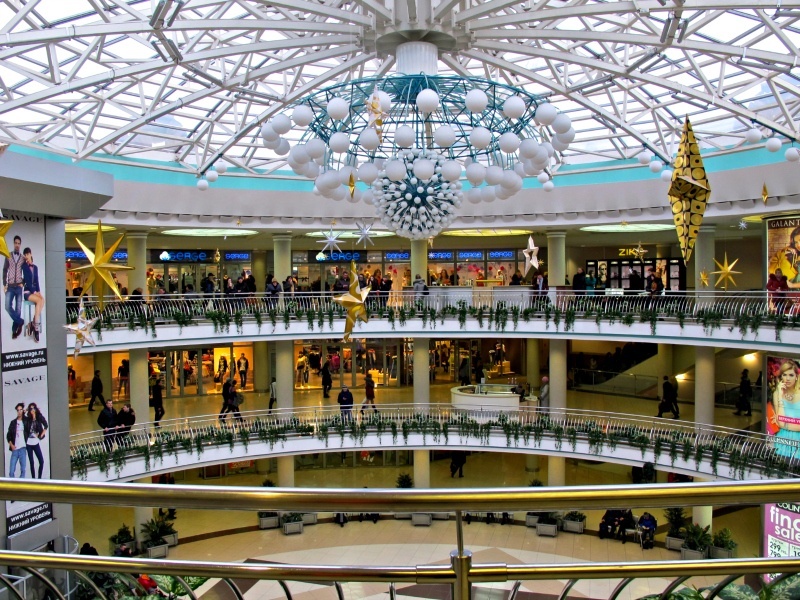 It is an underground shopping mall that is situated in the middle of Independence Square in Minsk. I’ll be honest, when I was told to meet someone there the first time, I had no idea it was underground and it took me ages to find the place! Once I found it, however, I went back numerous times on both trips. The mall is home to clothing stores, a grocery store (that even offers souvenirs such as chocolate infused with liqueur), an ATM, and plenty of places to eat. My favorite place to eat in there is called Cafe Maestro (кафе Маэстро). 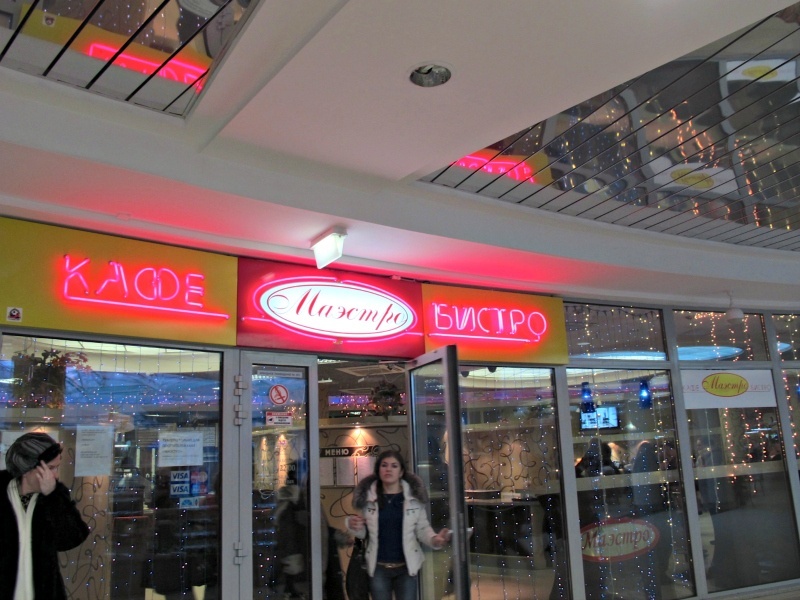 Many people will head across the city to Lido (ЛИДО), but I personally always preferred Cafe Maestro to Lido. 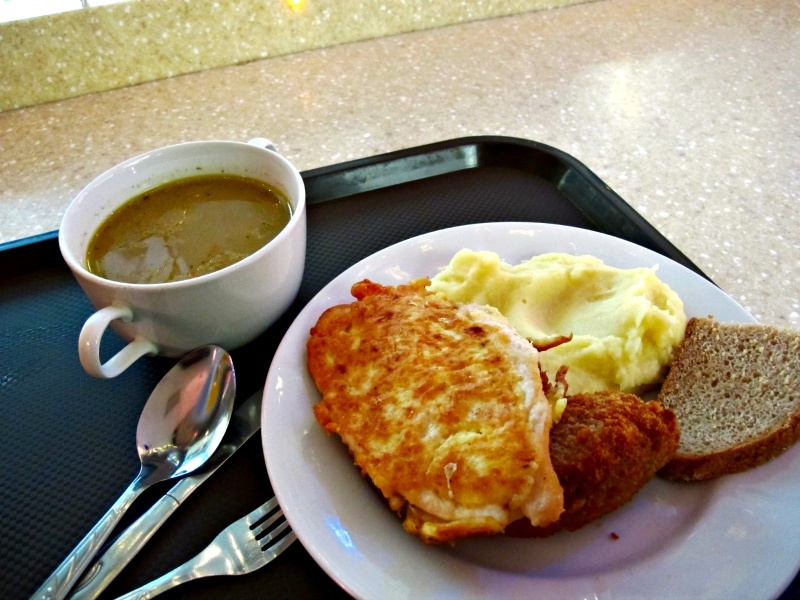 Both are cafeteria, self-service style eateries. Inside of Stolitsa, you can also find Sun Cafe (САН-кафе), and a delicious pizzeria on the bottom floor. Stolitsa can be reached by taking the metro to Ploshchad Lenina and walking a bit. Every CIS country I have visited seems to have a large market of some sort. And I love it. 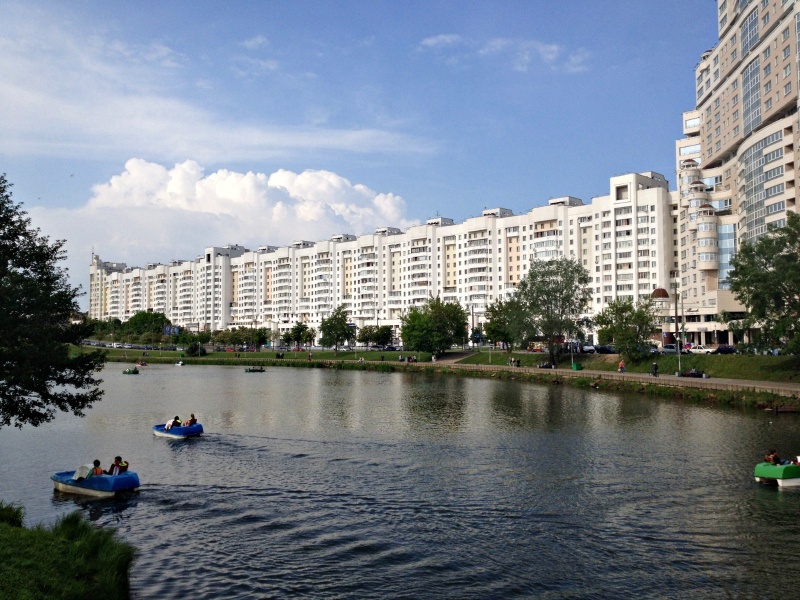 Komarovsky Rynok (Комаровский рынок) is one of the largest I have seen on my travels and I really enjoy visiting there when in Minsk. You will be stopped from taking photos inside, but you can sneak one or two from your phone if you’re lucky. 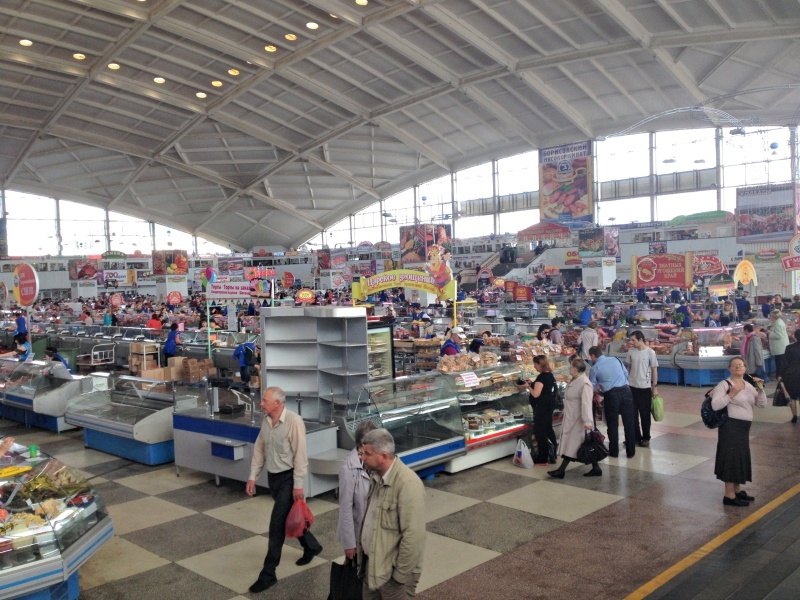 The inside of the market is filled with meat, local produce, and varieties of nuts and herbs. Photos will never do this place justice as it is massive. When I have visited similar markets in Central Asia and beyond, I have realized that many of the vendors are foreigners trying to sell their goods. 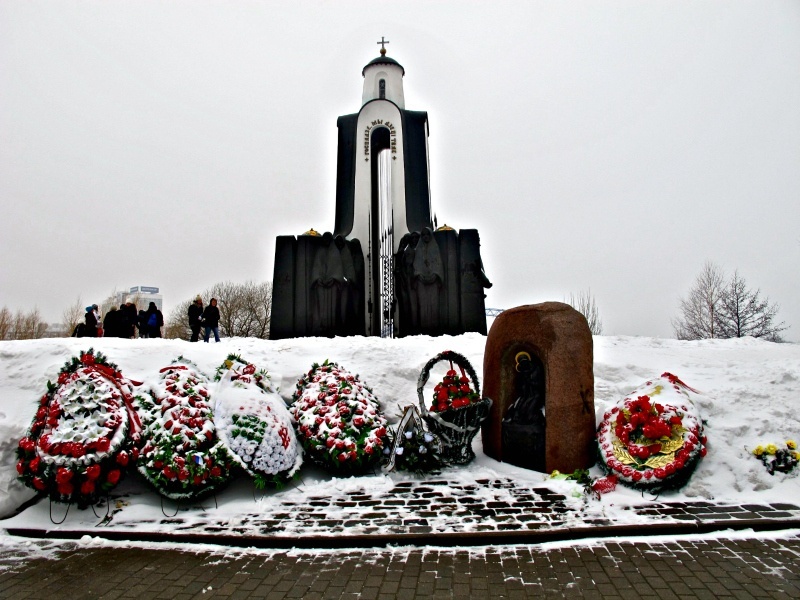 In Belarus, it appeared that most were locals. The outside of the market is always busy with people and activities for children, regardless of what time of year it is. 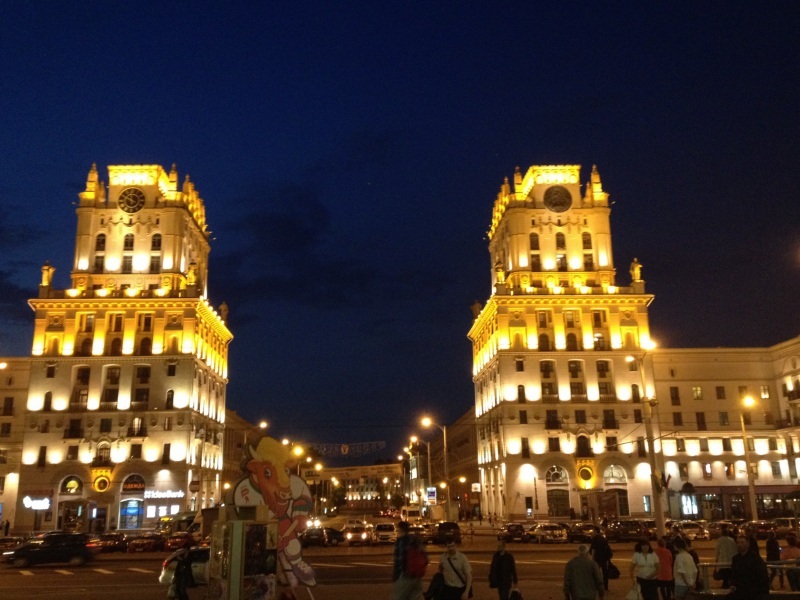 It just proves that there is so much to do in Minsk! 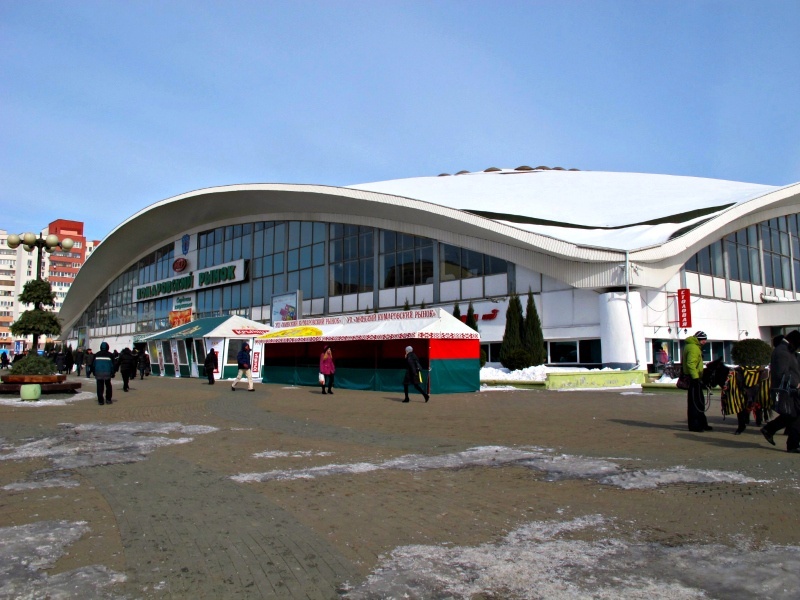 Komarovsky Market can be reached by taking the metro to Ploschad Yakuba Kolasa. It is only open from 1000 until 1700 and is closed on Mondays. This is my favorite bar in Minsk. I went here on my first trip to the city in 2013 and came back twice on my last trip. It is extremely small and tends to be crowded. But, the crowd will make you feel like part of the family immediately upon walking in the door. When I was last here, I had suggested that Kami and her friends from Poland go there with me and I was a bit nervous that they may not like the place as atmospheres change over the course of a year. Luckily, they enjoyed the place as much as I did. Our large group (around ten of us!) walked into the bar and there were no seats. The entire bar, staff and patrons, moved things around, changed seats, and sat two people on each chair, just to accommodate us and ensure we felt welcome there. Needless to say, shots of vodka were passed around freely after that. 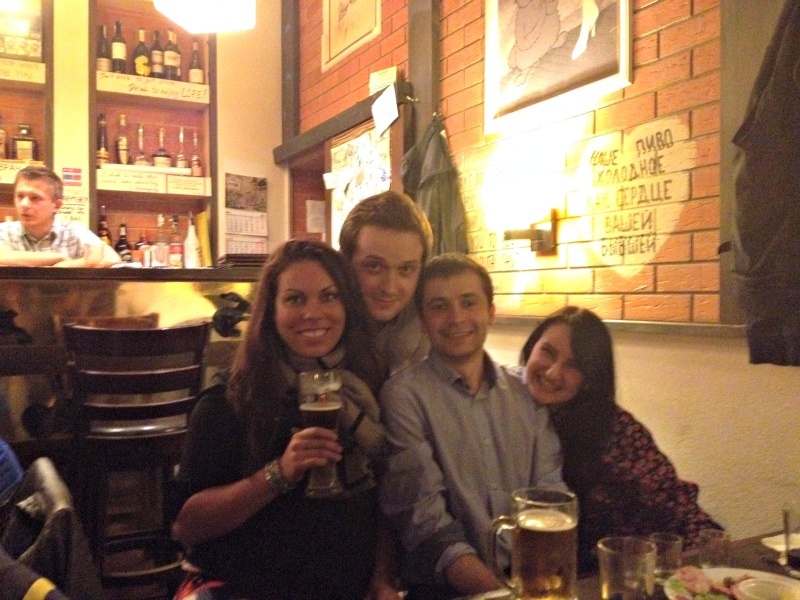 Our little Polish and American group (Juliet and I being the Americans) interacted with every single person in the bar in some way, shape, or form. 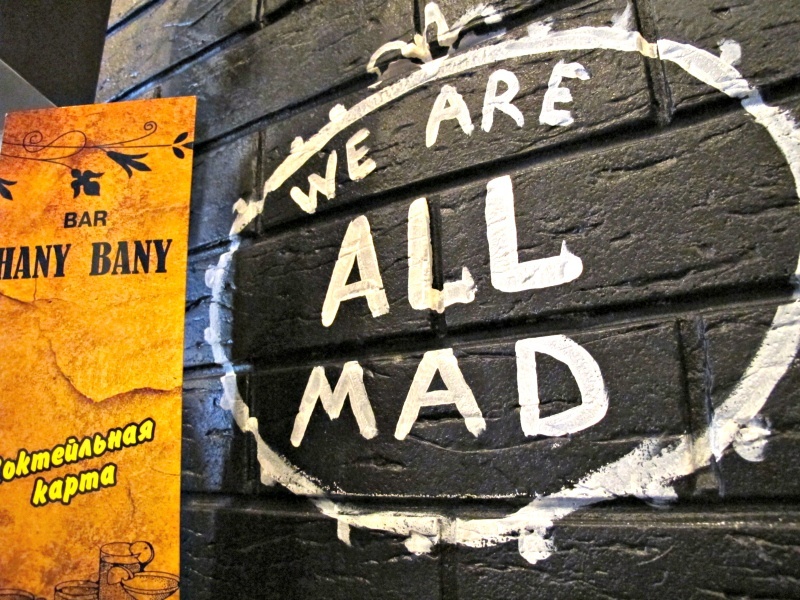 Without a doubt, Hany Bany (ХАНI БАНI) remains my favorite bar in Minsk. 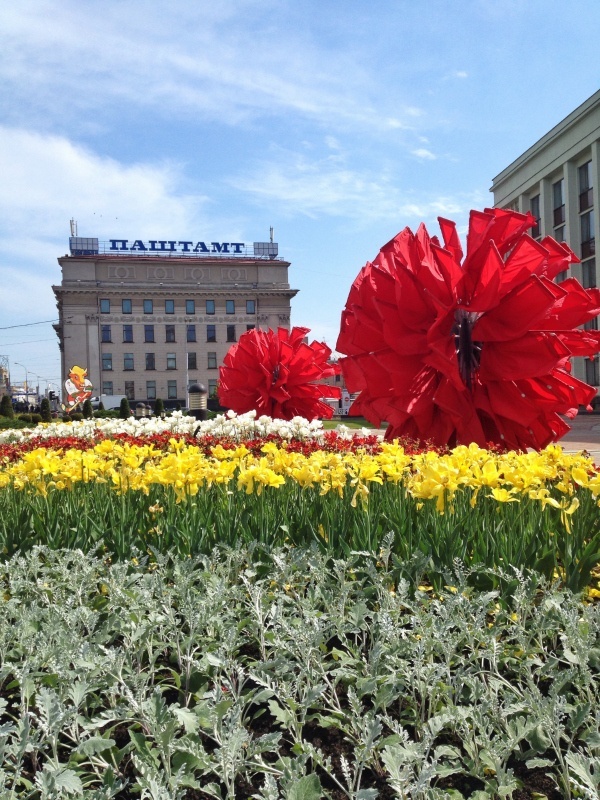 Hany Bany is a bit hidden, but can be found in close proximity to Ploschad Lenina. I am going to assume if you’re reading this that you have not had the grand experience of enjoying a Belarussian beer. It is not exactly exported freely around Europe (although I did have the pleasure of finding one in a Latvian supermarket recently). The ‘large’, national breweries are out-of-this-world good. Craft beer is not exactly a huge hit in Belarus yet but is on its way up quickly. And it’s impeccable. I’ve been to breweries in Vitebsk, but the most variety in Belarus is obviously found in Minsk. 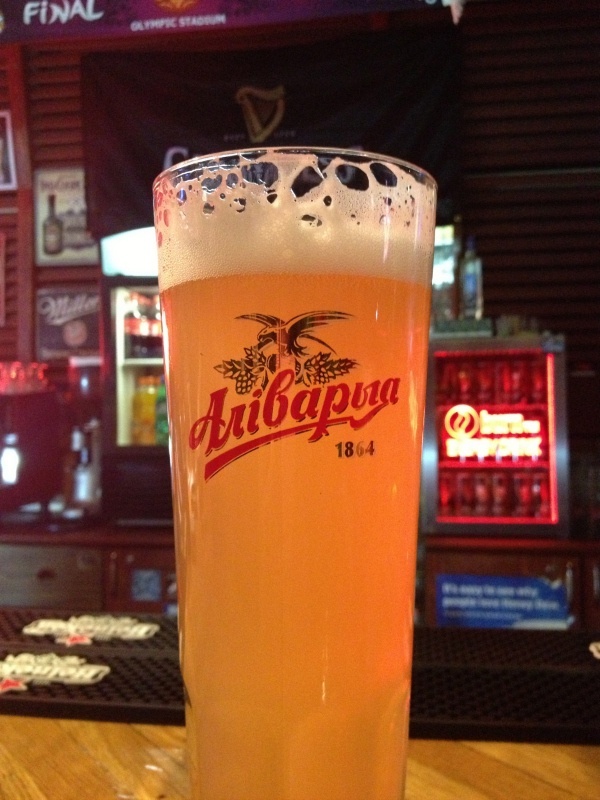 I’m still longing for a frothy and chilled Alivaryia… or any of the Belarussian beer I have had. Take the metro to Nemiga and just walk around. 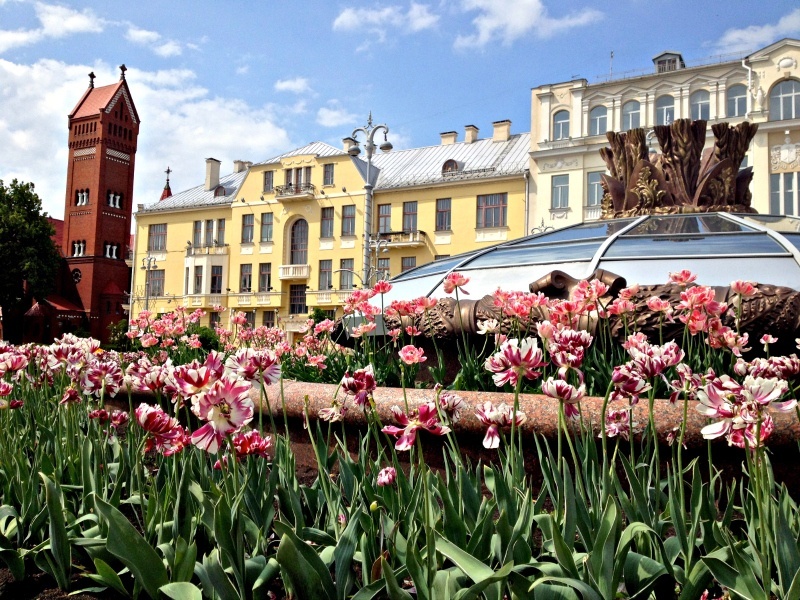 You can enjoy the beautiful river, sports arenas, historical churches, cobblestone walkways lined with cafes and restaurants, and even visit the somber Isle of Tears. Check out Insomnia Bar (Бессонница), one of my favorite bars in all of Minsk. The inside is trippy and reminiscent of what one might experience in Alice in Wonderland. It closes at 5am and I met one of my Belarussian friends in here on my first trip, so the atmosphere, while seemingly pretentious at first, is actually quite friendly and inviting. I’ve mentioned it a few times already, but the Minsk Metro is cheap, reliable, and the best way to get around this sprawling city. 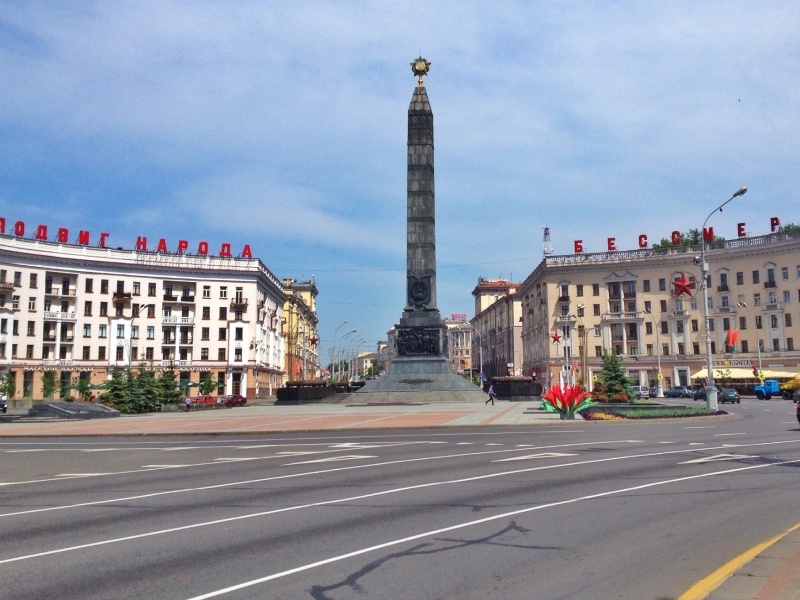 Much of Minsk is walkable, of course, but once you discover the ease and efficiency of the Metro system, you won’t want to waste your time walking around too much. The Metro, completed in 1984, consists of two lines that cross in the middle. During my first trip, it was rather difficult to navigate around as some stops were in Russian and some were in Belarussian (only my Russian skills work). But, because of the World Hockey Championships, the government has made the Metro more accessible to tourists by adding English signs. Yayyy! 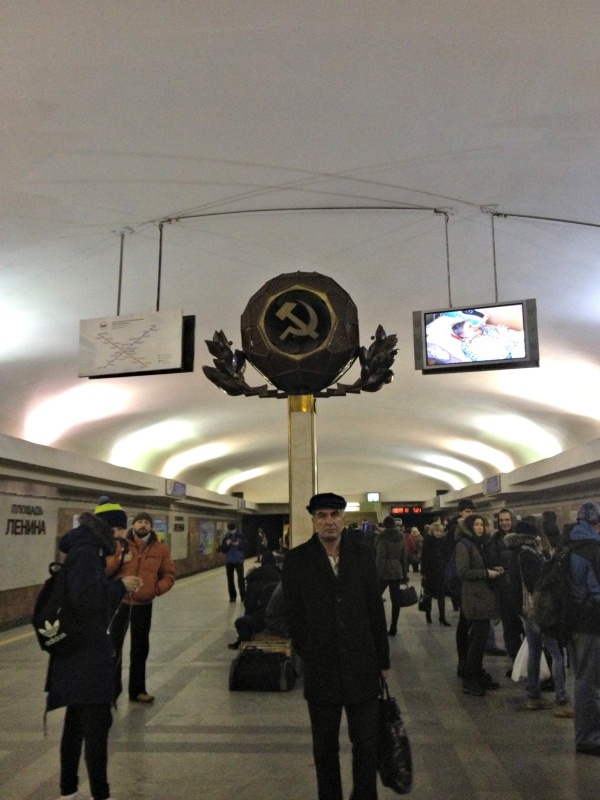 The style is typical and Sovietesque- deep, grand, and practical. 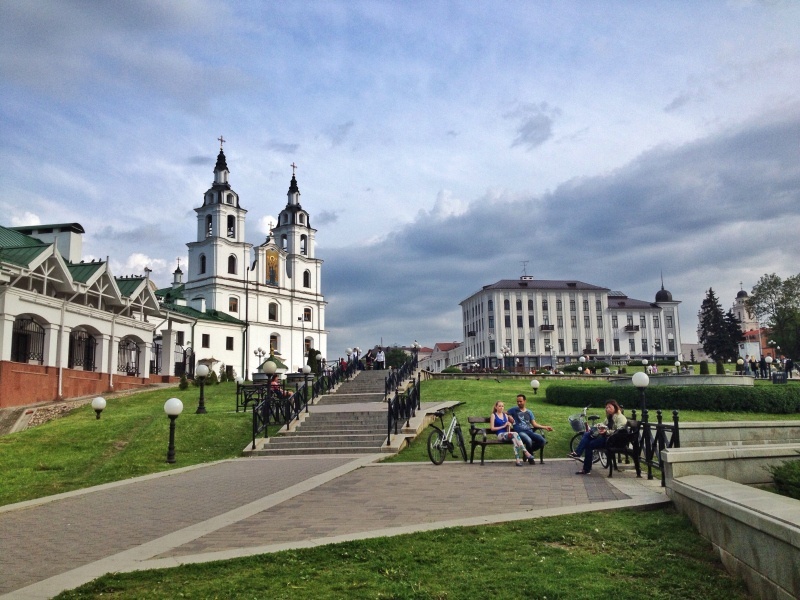 If you’re interested in traveling to Belarus and need a visa to enter, check out Katie’s post about obtaining a Belarussian visa. we have to make it back here pronto. im not kidding. I want to goooo! I won’t have time to apply for the visa while I’m in Norway and heard you can now only get it in your home country?! I’ll just have to try in every country I’m in this spring, haha. 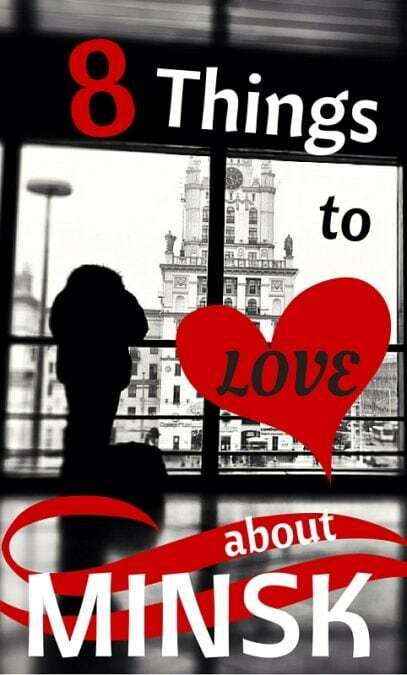 Silvia – not sure about the rules now, but it was pretty easy to get it in Vilnius when I went – I would try there! i know many who have received it there too! Thanks guys! I read that someone tried in Vilnius this past year and they told her she had to apply in her home country, but I’m not sure where she’s from. I’ll do more research! 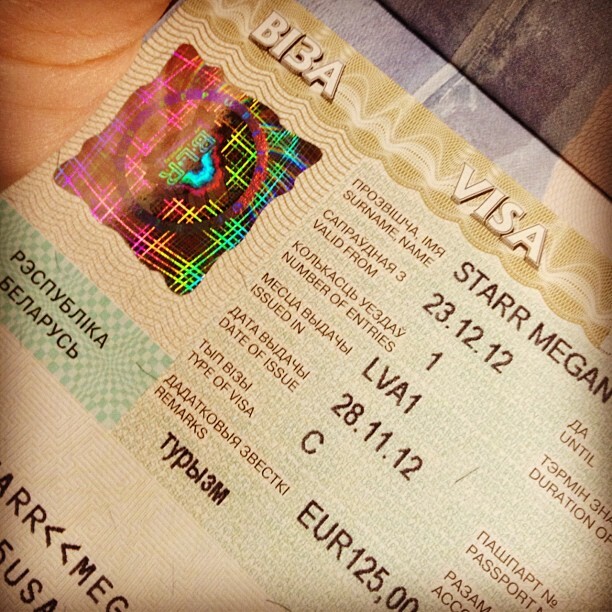 for my first belarus visa i flew to riga, latvia and stayed there while it processed. for my second (i had a failed trip the first time), i sent it via snailmail to helsinki. i never heard such a thing! Nice article by the way. Surprisingly, everyone poits out cleanliness in Minsk. Maybe I don’t know the world to call it dirty. it is very clean from the ground (not sure about air quality but seemed fine to me)! And I’ve never been to HANI BANI but I’m definitely gonna check this place out. Hi Megan, I really enjoyed the post! A Belarusian friend of mine posted it on Facebook. 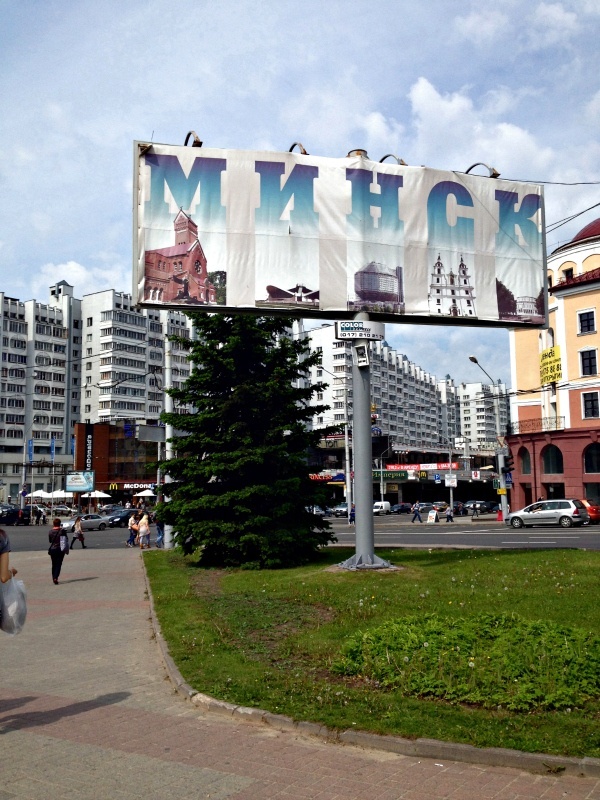 I love Minsk and have been 9 times – some of those were for several months. I spent a month there in September with my kids. Since you mentioned beer, I checked out Staromestnie Pivo Bar – a microbrewery. It was excellent! If you go back I recommend it. Its on Karl Marx street. I also got to finally experience mushroom picking. I was terrified I would pick a wrong one, but have lived to tell the tale :-). And I agree, the rest of the world needs to get to know Belarus!